Elizabeth Dimmette Coyne is a woman of many talents: graphic designer, writer and the owner of S2dio (pronounced “Studio”). S2dio covers Elizabeth’s many creative enterprises, both personal and professional, including art direction, graphic design, writing, publishing, various applied arts, and at one time, a mobile art supply store. 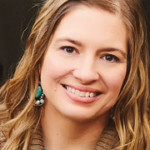 She is a graduate of NC State School of Design and lives in Winston-Salem with her husband, John Coyne, and their two children, Ella and August. Her first published book of poetry is entitled, The Ella Zoo. Named in honor of her daughter, The Ella Zoo is a series of poems that follow Ella as she grows from infant to independent young woman. Her adorable antics are described as a series of Ella-animals. With clever name games, whimsical illustrations, a hidden character to seek and find, exploration of poetic forms and more, there is something to appeal to everyone in the family, whether five or 75 years old. In 2015 The Ella Zoo received top honors from Independent Publishers of New England in the Specialty Books category and from the Next Generation Indie Book Awards in both the Best Overall Design–Fiction and Best Gift/Specialty Book categories. Elizabeth has now created the spunky EllaRoo doll as an ideal companion for young people or for doll aficionados, but certainly for readers of The Ella Zoo. The EllaRoo illustration is screen printed onto 100% cotton fabric before being handcrafted into a huggable lovie. Dolls are illustrated on front side only. Each rosy cheek is drawn by hand. A coordinating calico print fabric is used for the back. 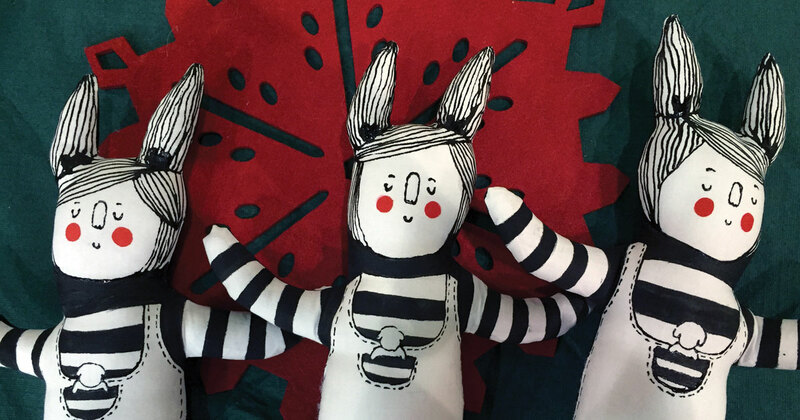 The dolls are printed, detailed, stitched and stuffed by the author in her smoke-free home. Due to the handmade nature of the product, there are slight variations between dolls. The dolls are stuffed with a polyester fiber filling but upon request can be stuffed with scrap, selvage and other repurposed fabric to produce a more sustainable product true to its rag doll origins at no additional cost. In Winston-Salem, you can purchase The Ella Zoo book and EllaRoo dolls at Twin City Hive Coffee Lounge at the corner of Brookstown Avenue and Marshall Street. The Ella Zoo book is also available for purchase at Elizabeth’s Etsy Shop, etsy.com/shop/S2dioDesign, Amazon.com and LuLu.com. Camel City Creates is a monthly column of Forsyth Woman magazine featuring talented creative women in our community.